Crash Course for NIFT and NID starting on 17th ,18th and 19th Nov,2012. 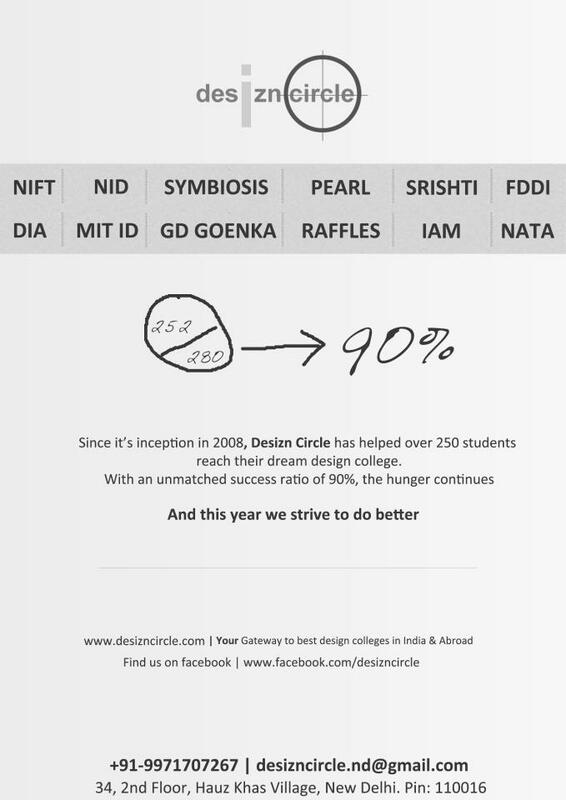 DESIZN CIRCLE ,making career in the field of designing since 2009 ! Crash Course for NIFT and NID starting on 17th ,18th and 19th Nov,2012.Enroll today and contact us for the trail classes. Limited seats Avaiilable !